Freewill is a concept that is as old as the earth itself. It's a priceless gift but it does come with consequences. Understanding the cosmic laws governing our freedom to choose is very helpful to making progress on the spiritual path. When God created the first group of souls (known in some spiritual circles as the first "root race") he gave them the freedom to choose how they used the energy he endowed them with. These souls lived and studied the mysteries of the universe in what the Bible calls the Garden of Eden. They were great stewards of the light (energy) that God gave them, only making choices that raised their consciousness, and they ascended back to God at the conclusion of their lifetime (which was considerably longer than what we know of today as a "lifetime"). This cycle continued for a total of four root races. During the time of the fifth, the Fall of Man took place, as described somewhat metaphorically in the Bible through the story of Adam and Eve. The souls had made a choice that misused the light of God and caused their consciousness to descend below the level of their Christ selves. They took on physical bodies and entered the planes of matter, "the earth" as we know it. With it they also entered the rounds of karma and reincarnation. You can see in this brief summary of mankind's history that the gift of freedom to choose, known as freewill, comes with a price to pay. The price is karma, the law of cause and effect. We are free to make choices but we are not free from the effects of those choices. Every moment of every day I am making a choice in how I use my energy. If I direct it towards a higher purpose (a kind thought, for example), I am creating positive karma which will cause me to receive an equal blessing at some point in my existence. If I give my energy to a lower cause (feeling angry, for example), then I will reap the consequence of this misuse through suffering some unwanted circumstance in my life (negative karma). So why did God give us freewill? Why not spare us the pain and suffering? Well, the closest analogy I can draw is with parenting. If a parent constantly prevents their child from doing anything other than the parent's own wishes, here's what we might expect to happen: The child doesn't learn much about the world or themselves. Their own identity as a person with thoughts, feelings, desires, strengths and weaknesses is squashed to the point of non-existence. The parent is considered by the rest of the world to be selfish and unloving, even abusive. God is love - the highest form of love imaginable. He loves us so much that he is willing to watch us suffer in order that we can realize our own identity and fulfill our greatest potential. Ultimately it is our choice to suffer and I know that, for many people, that's a hard truth to swallow. It's so much more convenient to put the blame on God, but accepting responsibility for our choices and being grateful for freewill empowers us to make positive changes. We can be grateful for the opportunities to work out our karma so that we can transmute past wrongs and eventually be done with these rounds of embodiment. 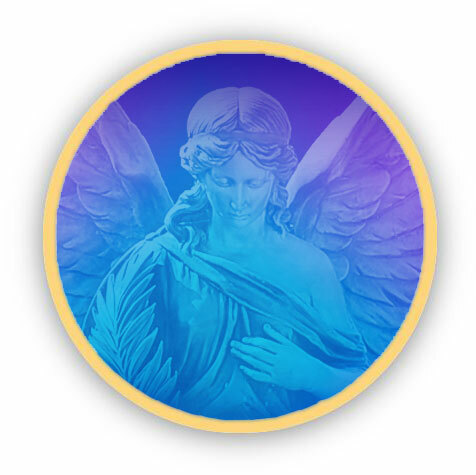 When we choose to say prayers, decrees or affirmations for ourselves, it is worth bearing in mind that we are using our freewill to invite the angels and ascended masters to act in our world. They need that invitation - because of freewill they cannot act on our behalf without our permission. This also applies to the prayers we say for other people. God and his agents will not intervene in a person's life if that person has not given permission (even subconsciously). However, you don't need to worry about your prayers going to waste because the positive energy from the prayers gets stored in the rings of colored light around the person's Higher Self, ready for use the moment that they are willing to accept the heavenly assistance, even beyond this lifetime if necessary. Improve your Life with the Help of the Seven Archangels. The lives of the ascended masters, their incredible etheric retreats — temples and cities of light in the heaven world — plus instruction for safe soul travel during sleep, and how to get the most out of your etheric retreat experience. The most comprehensive guide ever written — 500+ pages of authentic source material with pictures. 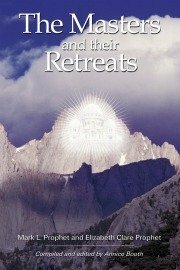 A "must-have" resource for serious students, and a delight for those just discovering the ascended masters and their teachings. Copyright © 2007-2015 Summit Publications. All rights reserved.